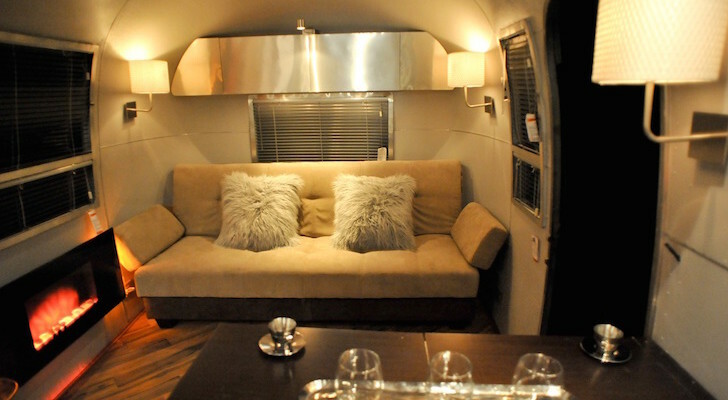 My jaw dropped when I saw how they preserved this beautiful vintage Spartan Manor trailer in a modern RV carport. 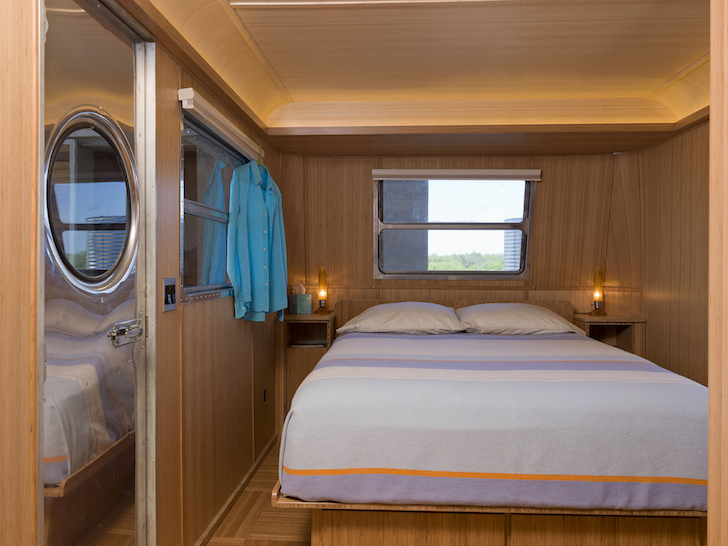 You'll love the sleeping loft up top. 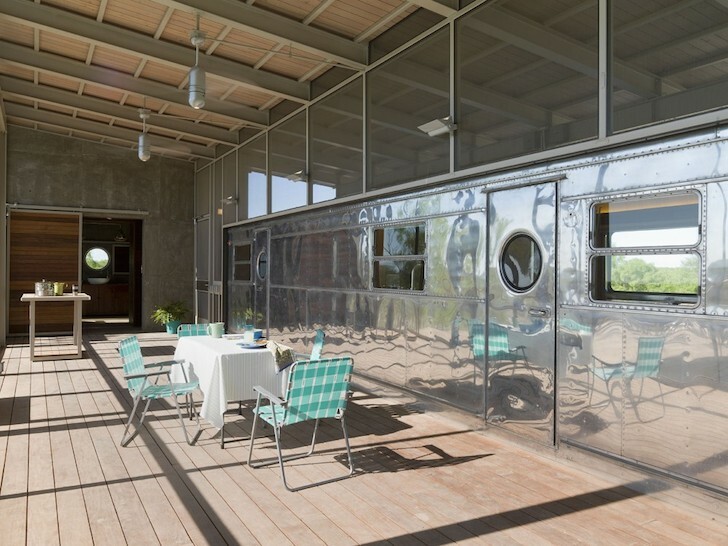 I’m excited to show you this vintage trailer house in Uvalde, Texas called ‘Locomotive Ranch’. 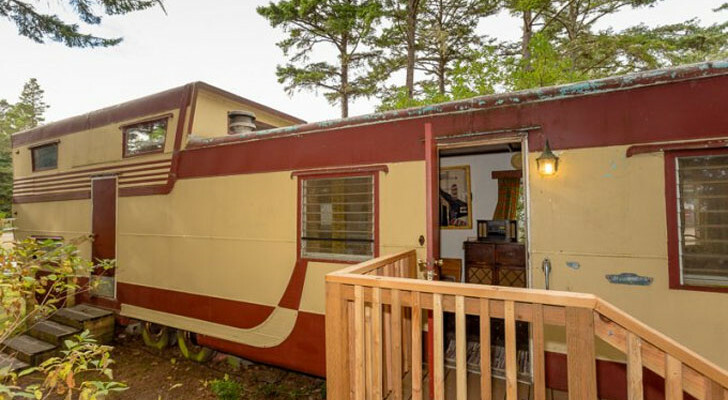 The owner wanted to relocate and protect a vintage Spartan Manor trailer that had been in the family for years, but he had some trouble coming up with an RV carport design that he liked. The trailer no longer travels, and needed to be housed in a location that would protect it from a nearby floodplain. 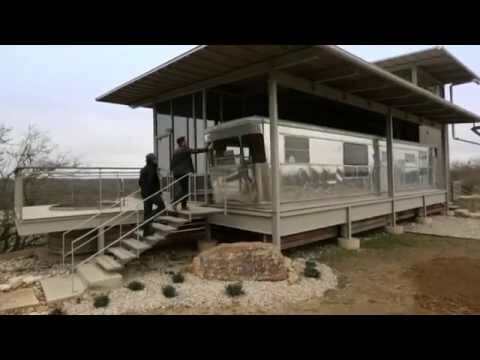 Related: You’ll Love This RV Carport Design. Can’t You Just See Yourself Parking Your Rig In It? 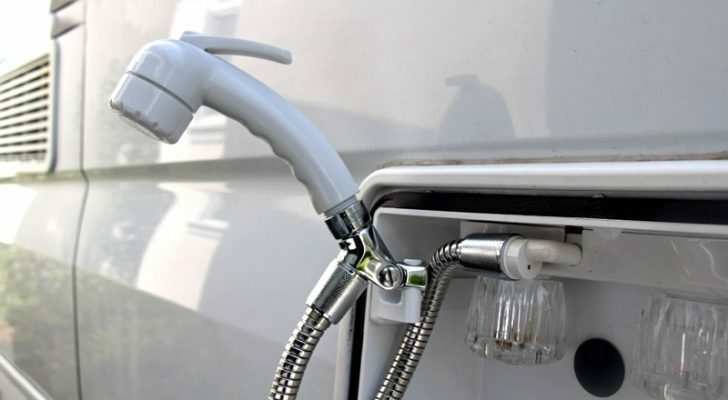 So he enlisted the help of the design firm Andrew Hinman Architecture to come up with a solution. 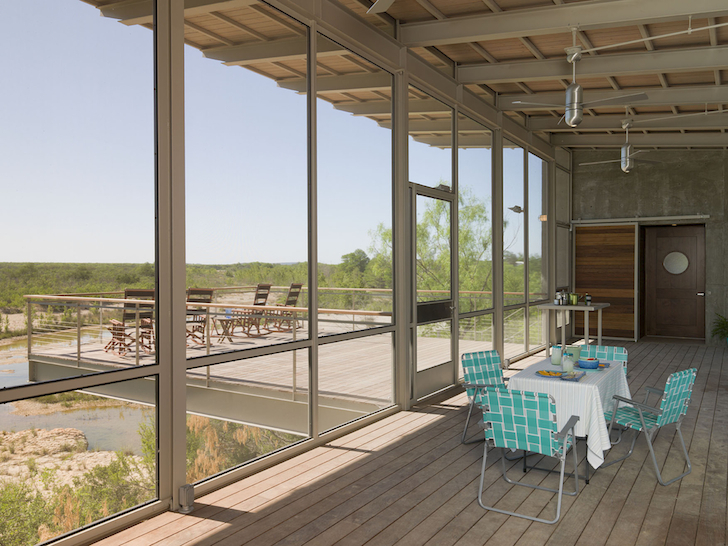 One of the client’s cherished possessions is a vintage streamlined aluminum house (not travel) trailer, and he wanted to relocate the trailer to the family’s favorite spot on their South Texas ranch overlooking the Nueces River. 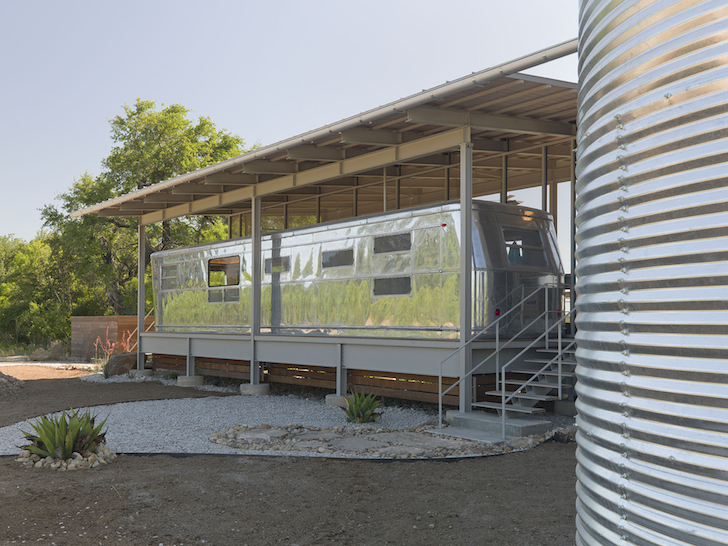 Given the fragile geology and the flash-flood prone nature of the riverside location, the trailer’s foundation and protection required special considerations. 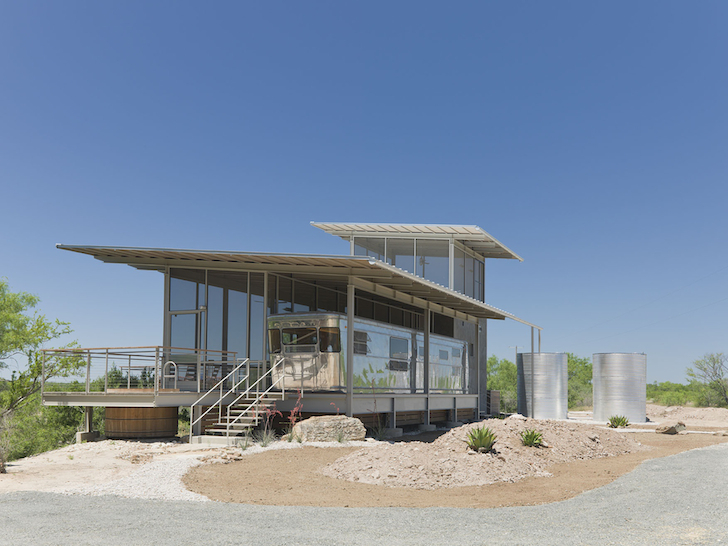 The resulting solution is a steel-framed, metal-roofed cradle, right at home amongst the existing rain barns and ranch equipment sheds. 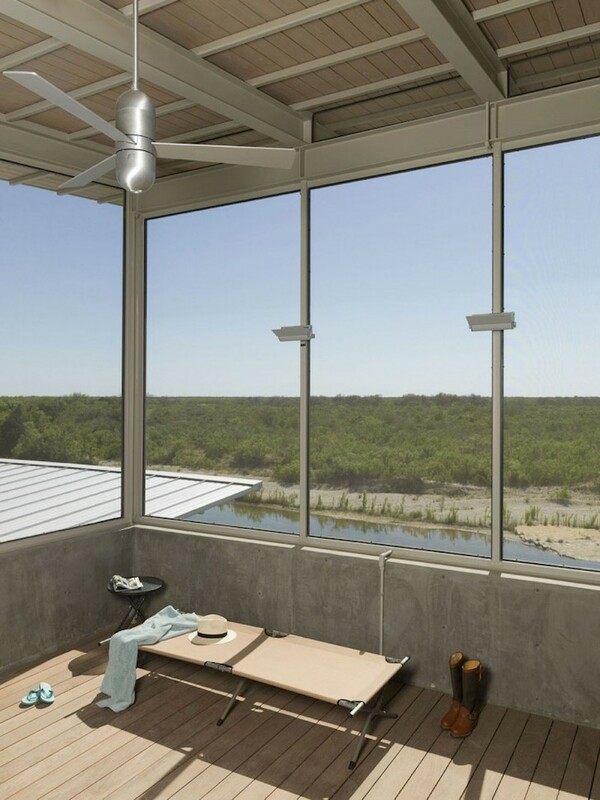 The cradle lifts the trailer above the flood plain and provides accessory components, sweeping river views, and safe access to the fishing/swimming hole. The cradle is anchored by a concrete blockhouse containing utilities, storage, and bathroom and topped by a screened sleeping loft. 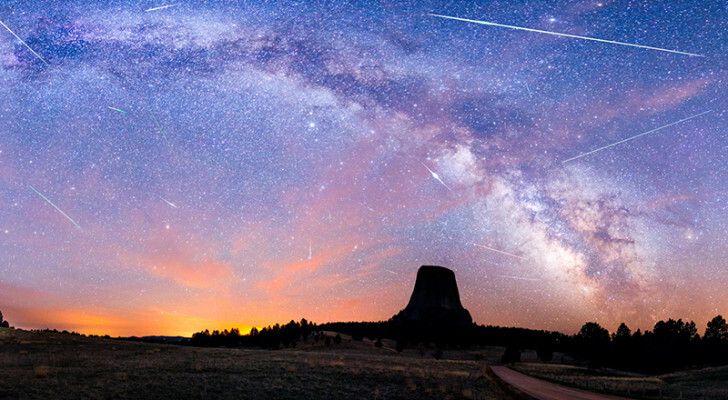 Take the photo tour of this majestic property below. 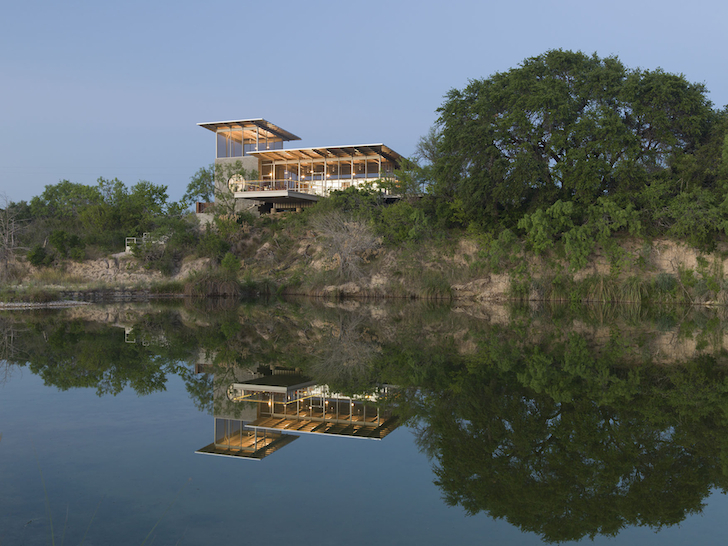 You can just see the Spartan Manor through the huge windows that overlook the Nueces River. 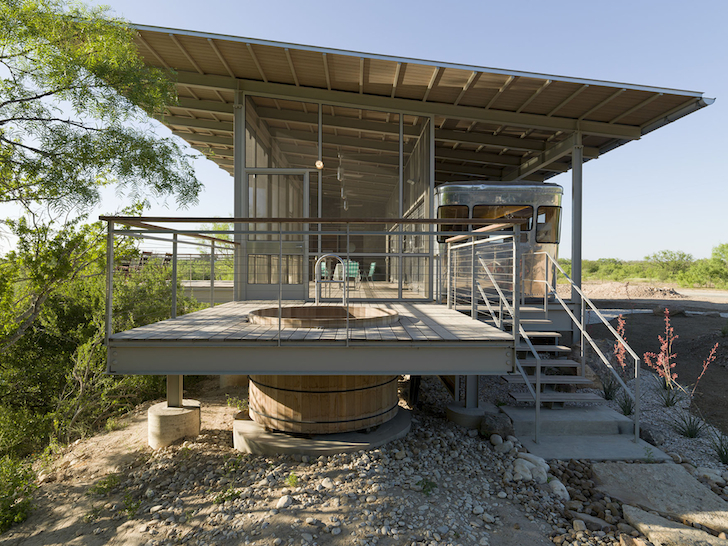 Because the location rests on a flood plain, the architect raised the trailer off the ground and placed the entire structure on steel stilts. That’s a screened-in sleeping loft up top. 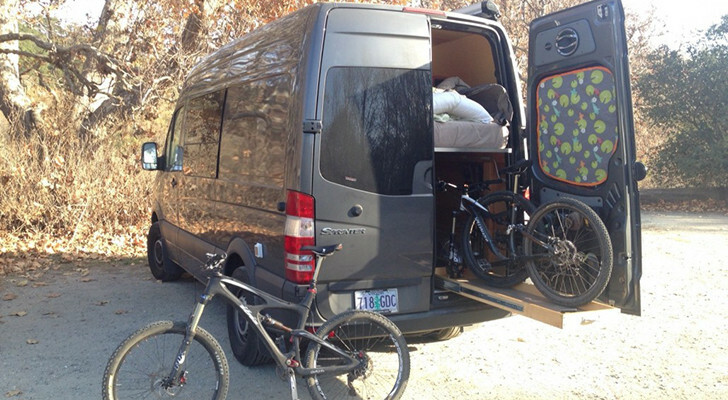 The trailer makes up about half of the living space in the home. No worries about hail damage either as it sits under a steel-girded canopy. 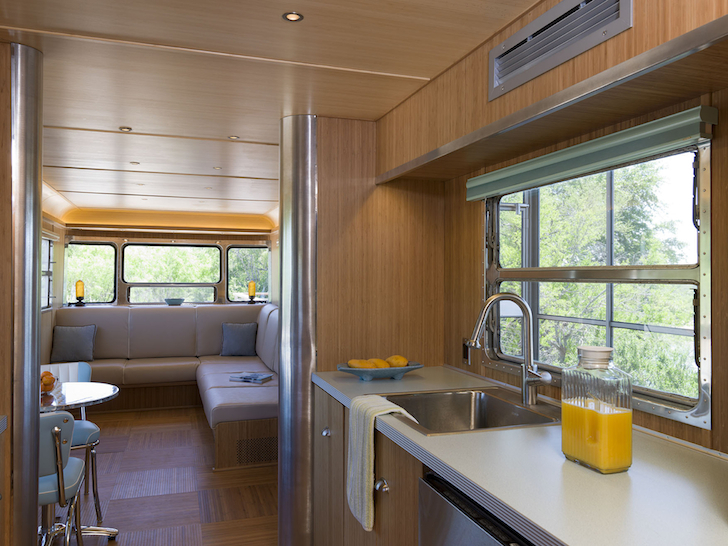 The trailer is nestled right up against the living area, which includes full amenities and a bathroom. Gorgeous bamboo paneling lines the floors, walls, and ceiling. 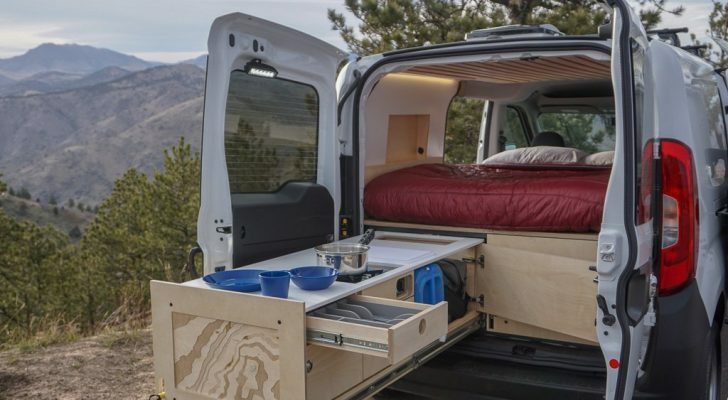 A large bed in the rear sleeps two. 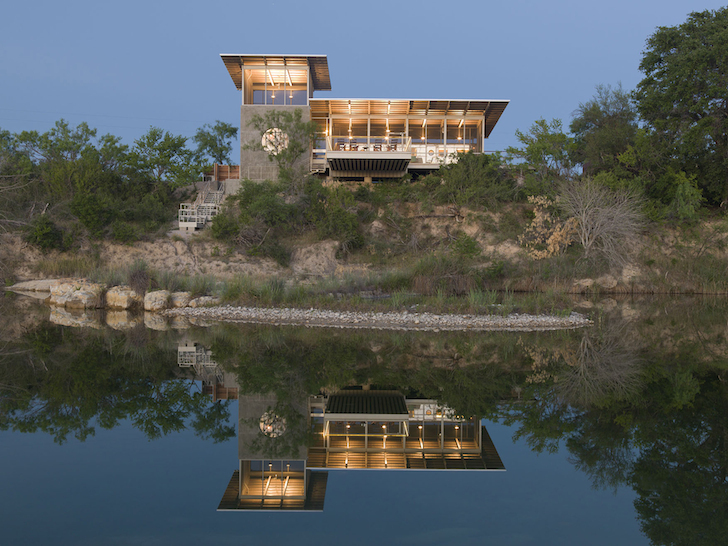 The main house offers beautiful views of the Texas countryside. 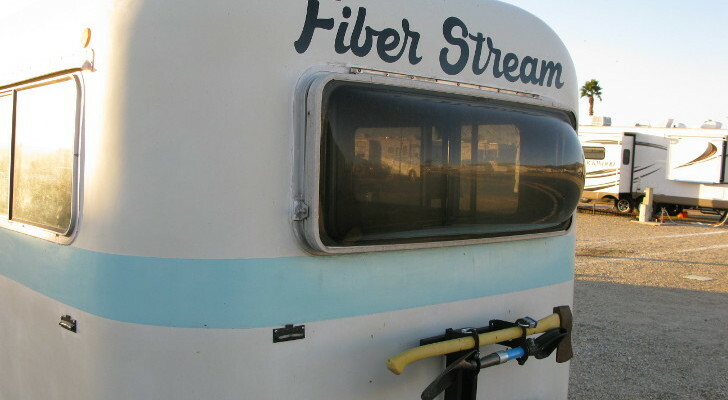 This is definitely my kind of RV carport. You don’t need a trailer that travels when you can park it here!